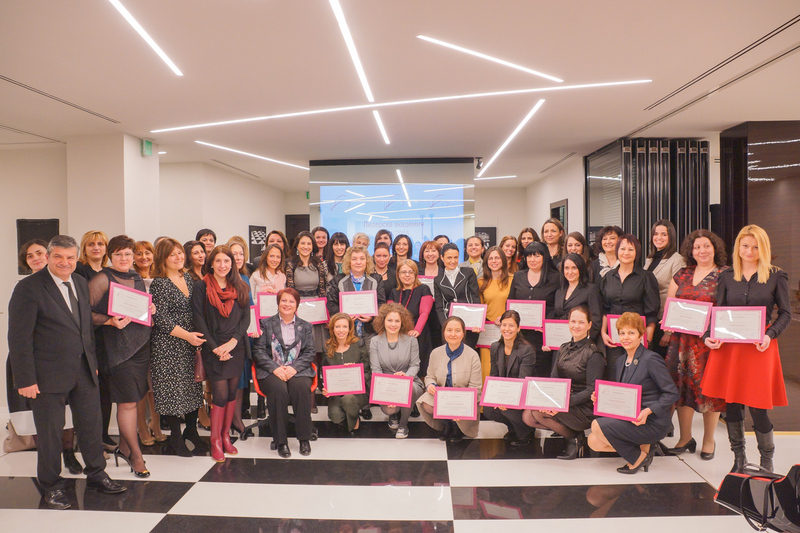 The Council of the women in the business in Bulgaria conducts the project Leadership academy – a free of charge leadership training in six one-day modules spread throughout the period between June 2014 and February 2015. In order to participate all applicants should have at least 3 or more years of managerial experience, or should be owners or managers of small and middle-sized businesses with the desire and initiative to develop their leadership skills. This will help them develop their businesses and take up greater leadership responsibilities. A systematic training which helps the most important business model – you. The participants in the Leadership academy will work with the visual Canvas Model to analyze their personal business model. The participants will learn why the feedback is important, when to give it, how to make it constructive, etc. The training focuses on the variety of the people\s characters in a company. The certificates will be awarded by the mayor of Sofia – Mrs. Yordanka Fandakova – honorable member of the Council of the women in the business in Bulgaria. Members of the Council of women shall participate in each module and after the ending of the first year of the Leadership academy will choose the participants who will take place in the follow-up Mentorship program.